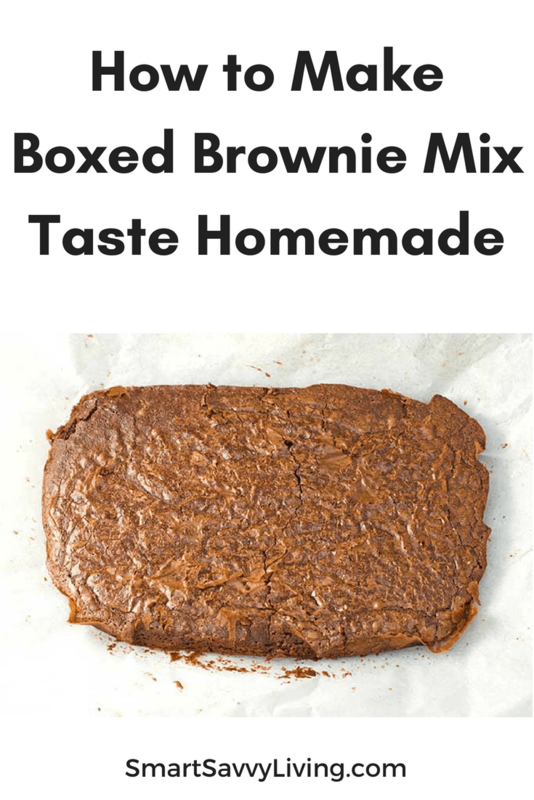 Everyone will be asking for your delicious homemade brownie recipe when you use these simple steps for how to make boxed brownie mix taste homemade! I’ve loved baking for about as long as I can remember. In fact, I actually started baking things before I started cooking meals. For me, there’s just something relaxing about it and I love sharing baked goods with others and seeing the smiles on their faces. I’m always a huge fan of from-scratch baking. But, honestly, I don’t always have time to get all my flours, sugars and other baking goodies from the pantry, along with washing all the extra bowls and measuring cups. So, I do use boxed mixes from time to time. While boxed mixes certainly make baking faster and easier, I do find they tend to taste a little bland. I try to not eat too many desserts these days so I really like my sweets to pack a punch of flavor. 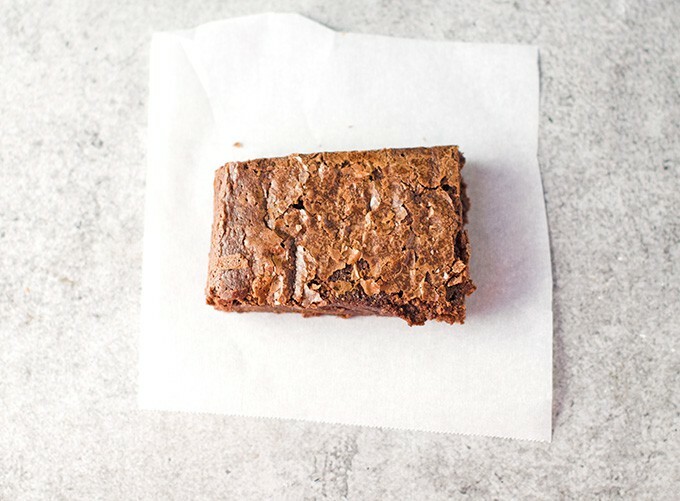 One of our favorite desserts are brownies, especially the fudgy kind, so I always have a couple family size 9 x 13 boxes of fudgy brownie mix in the pantry. What’s The Best Brand Of Brownie Mix To Buy? When it comes to brownie mix I’m honestly not very picky. I usually just buy whatever is cheapest like Betty Crocker, Pillsbury, or the Aldi brand since one of those recently opened here. I always stock up when they go on sale at the store for about $1 or less each as they have a pretty good shelf life. If you want the convenience of having them shipped to your door the price on Amazon Pantry is usually pretty decently priced, too. 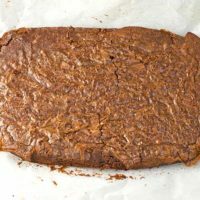 The additions to make the brownies taste homemade are what makes the “recipe” over the brand of mix used in this case. Instead of oil, use butter. This helps the brownies have a richer flavor. Some say that you need to add an extra tablespoon of butter when using it instead of oil since oil is 100% fat and butter is not, but I always substitute the same amount stated on the packaging. You could also use ghee/clarified butter. Instead of water, use milk, or preferably brewed coffee. Just like in cooking, baking with water doesn’t add much flavor. I prefer to use coffee in brownies as coffee intensifies that chocolate flavor but doesn’t make the baked good taste like coffee. If I don’t have leftover brewed coffee, I always have a jar of instant espresso powder on hand to use. Add more flavor with an extract and cocoa powder. Extracts are commonly used in baking and there are a variety of flavors you can use. Vanilla extract adds a nice sweet flavor we all love. But you can also change up the flavor of your brownies with extracts like orange or peppermint. Adding a tablespoon or 2 of cocoa powder (or even hot chocolate mix) will give an extra chocolate flavor punch. Try out different mix-ins. One of the best ways to kick boxed mixes up a notch is to add some mix-ins. This can be candy pieces, coconut flakes, nuts, chocolate chips, marshmallows, bacon or pretty much anything you’d like to try. Turn it into something fancy. 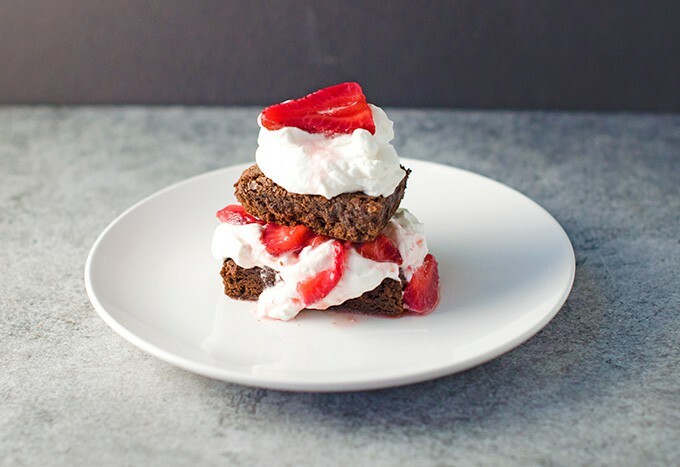 Brownies are great on their own, but you can also jazz them up a bit, like turning them into a brownie strawberry shortcake. Yum! If you’re like our family you just might fight over all the crispy edges and corners when it comes to brownies. 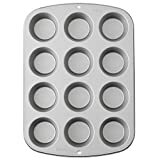 When I’m wanting brownies with crispy edges, I like making them in a muffin tin, but this square treat cake pan and the edge brownie pan are also popular choices so everyone gets those delicious crispy edges. Brownie Baking Pro Tip #2: Try to use a lighter baking pan to lessen the risk of burning. When using dark or dark non-stick pans you should lower the oven temperature by 25 degrees. 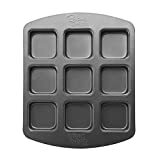 I’ve been using my light Wilton non-stick 9 x 13 pan for years and love it. Pre-heat oven to 350F. If using a dark pan, 325F. Grease 9 x 13 pan and set aside. I like to use parchment paper and non-stick spray. Pour brownie mix into a bowl and add in eggs, coffee or milk, butter, and extract. Whisk or stir until thoroughly combined, about 50 strokes. Gently stir in any mix-ins. Pour brownie batter into greased pan and spread evenly in pan. Bake according to package directions, usually 20 - 25 minutes. Dark pans may take a couple more minutes. Allow to cool completely in the pan on a wire cooling rack. If you used parchment or foil, you should be able to easily lift them out of the pan. Cut into desired size (I do so for 12 brownies) and serve. Store leftovers in a Ziploc bag or covered container. Even brownie mix can make the shiny crunchy topped brownies with a chewy fudgy center we all love! 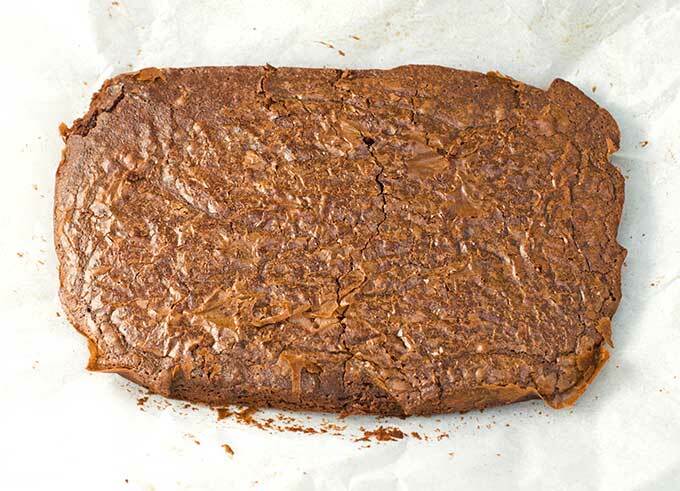 What are some of your tips and tricks for How to Make Boxed Brownie Mix Taste Homemade? I love topping a brownie with a dollop of lightly sweetened homemade whipped cream! Can you replace water in brownie mix with wine? 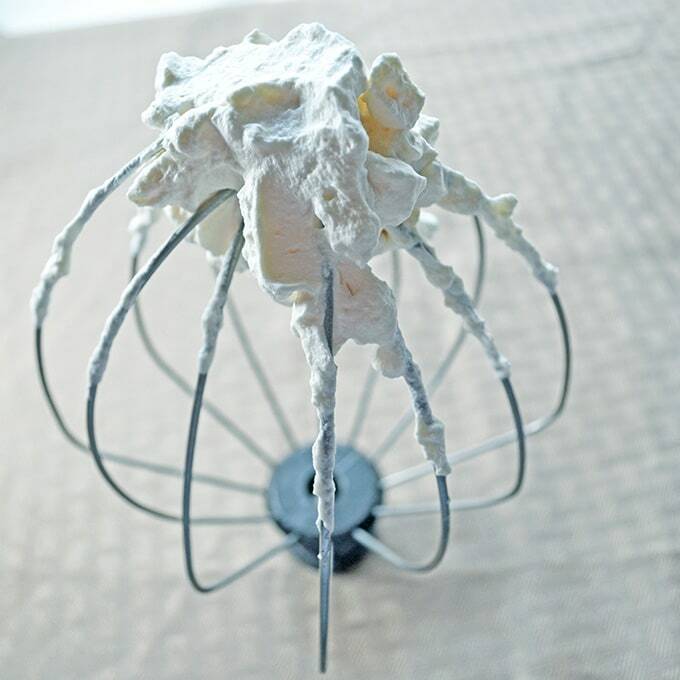 Mix in some marshmallow vodka in your home made whipped cream for a special adult treat to top the brownies. What a great idea, Kathy! I made these last Saturday when our Church fed the community, as we do every year during the Thanksgiving season. I got so many compliments on them. Thank you! Awesome, Benita! I’m so glad they liked them and thank you for coming back and letting me know how they turned out. Substitute Port wine or a dark re wine like Cabernet or Sarah for the water called for in a boxed brownie mix. best with Drak chocolate brownie mix. Great ideas. Thank you. You’ve broadened my Brownie Horizon. In the oven now, with vanilla & milk. I added a cap full of vanella extract. Put some marshmallows in the middle and some on top. The brownies were delicious. hello….Made your recipe the other day for a picnic and everyone loved it. People were asking for the recipe. Thanks again for the “homemade” taste of these boxed brownie mix. I’m so glad everyone loved them! Thanks for stopping by and letting me know. I add some good dark unsweetened cocoa powder–just a heaping tablespoonful adds more chocolatiness.